that can be viewed on iPhone, iPad and tablets. 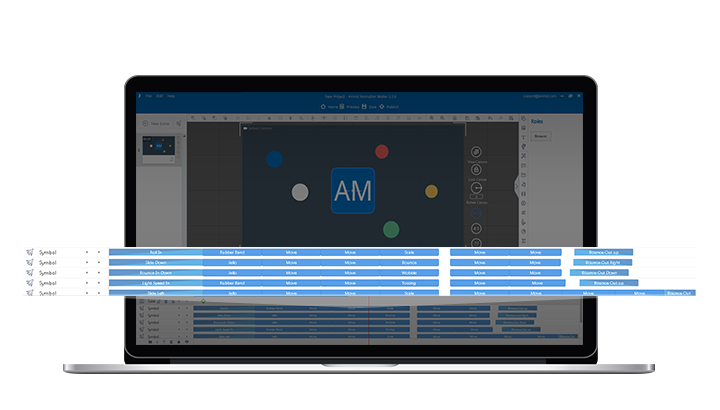 As the professional HTML5 animation tool, Animiz provides tons of templates for you to design and create your own one. Firstly, you can choose to start your creation from an online video template which is already created by professional designers with amazing animation effects. You just need to replace and modify the text contents with yours. 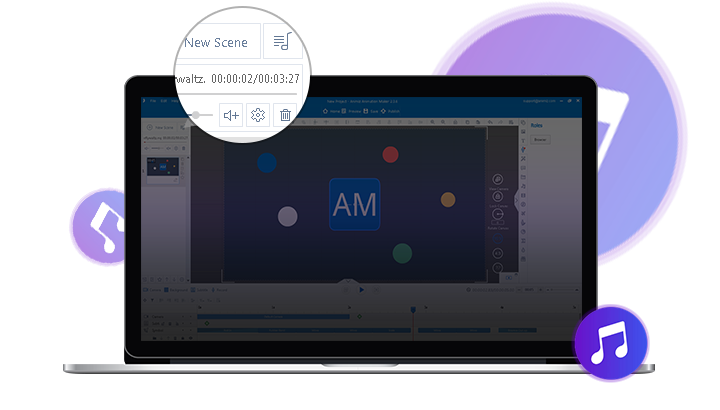 If you want to begin your video with an empty project, you can insert some scene template to better your video. Hundreds of animated roles would amaze you while making your HTML5 animation video. 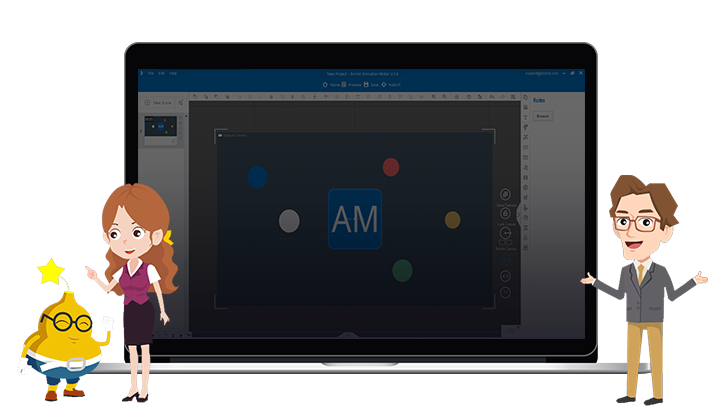 You can insert dynamic roles for your animation video to make it more attractive to grasp more attention. There are various expression and action of one role, which allows you to express your ideas perfectly. More importantly, you can add callouts for roles to make the scene be more real like a dialogue. 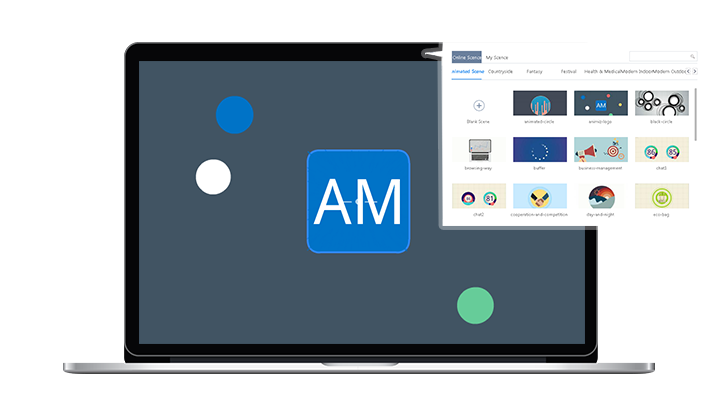 Everything in your video can be animated easily with the help of the Timeline, where you can add animation effects for the static objects. There are more than 300 animation effects you can choose to add for the objects. Combine the entrance, emphasis and exit effects to make one static object move and act in your video. Increase your video vividness instantly without any difficulties. When you think it almost done with the animation video, there is one thing should not be ignored, the background music. A piece of appropriate background music should make the finishing point to your successful animation video. With Animiz, everyone can insert background music easily. Something should be mentioned is that the style and music volume should be harmonious with your video’s voiceover, which means it is no so advised the sauce is better than the fish.